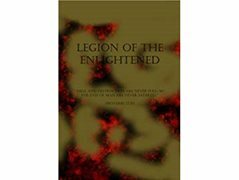 Legion of the Enlightened is a short film that has been long in the works through many processes of writing and casting. The film is now planned for production in the summer of this year. The story tells of a boy who is a part of a secret organization that has placed him and other members on an island to test them. However, because of his flamboyant and almost carefree attitude, many perceive him as laughably feeble and want to kill him. Although we have a cast we need a crew though this crew will be small. Rower looks up to his friend, Oleg. They have been together for years now and being in the Enlightened Program has hardened their ideals. Though, Rower doesn't know too much of what he will do if Oleg wasn't by his side. Actress Required (Brunette 50s) for a Short Grad Film, in Greystones area.